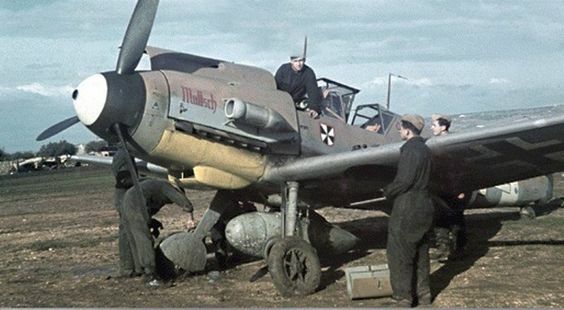 Bf 109 Friedrich belonging to the Stab II./JG 3 photographed on 1 July 1942. The pilot in the cockpit is Gefr. 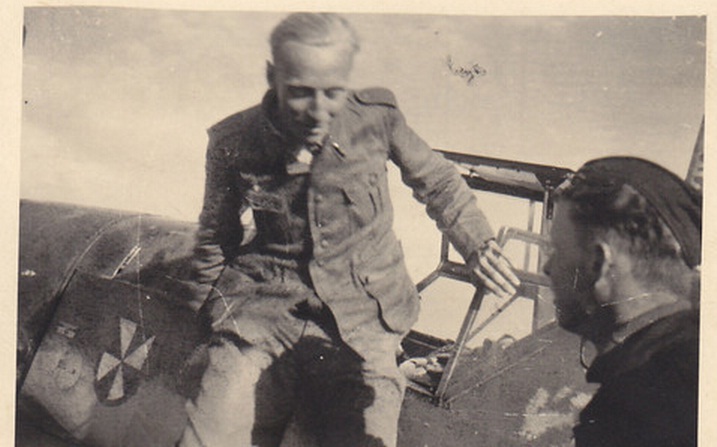 Arnold Bringmann seen here on his return from the sortie on which he achieved his first victory, an Il-2 over Schtschigry. 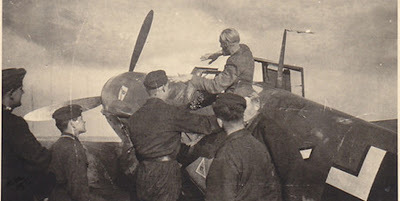 Bringmann survived the war having notched up at least 30 victories. He was acting Staffelkapitän of 1./ JG 3 for the Bodenplatte operation on New Year's Day 1945 with the rank of Feldwebel. At war's end he was flying the Me 262 Turbo with JG 7.